The Kentucky law was spearheaded by State Sen. Alice Forgy Kerr (R-Lexington), who said "boosting the number of mental health providers, particularly in rural areas, was a major motivation," Ollove writes. She told him, "Of course, any parishioner can now go and seek advice from his or her pastor, but we are talking about a professional degree." 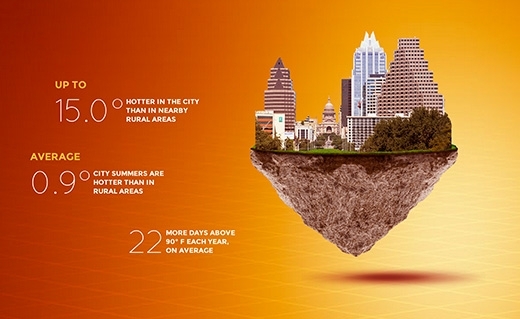 Co-author Alyson Kenward told reporters, “Every year, cities are seeing more extremely hot days than rural areas. The fact that they’re happening that much more frequently—10, 20, 30 days more—in the cities than in the rural areas, that really was surprising to me.” She said that "cities, in particular, feel the heat each summer. Home to about 80 percent of the country's population, they’re coated in asphalt and concrete, which retains more heat than dirt and grass; they have far greater concentrations of cars and industrial facilities, which emit more heat-trapping greenhouse gases; and they have fewer trees and vegetation, which help keep rural areas cool." The Common Core State Standards, a set of requirements outlining what students should learn each year in school, were designed by states to help standardize and improve education across the U.S. As states adjust to the new system, some are calling for modifications, teachers are trying to prepare and public opinion of the project is sliding. Some states are taking education into their own hands, modifying the standards or creating their own. In at least 12 states, lawmakers are trying to set their own standards. "In several states, legislators have placed new restrictions on state boards of education, which typically write and update academic standards," Lyndsey Layton writes for The Washington Post. "In others, lawmakers have opened up the development of standards to greater scrutiny, requiring that proposals received public vetting." A law in Oklahoma allows them to modify any standards they don't like. Originally they planned to get rid of the standards altogether, but "It's just completely an overreaction for state legislatures to believe they can develop and manage and implement academic standards," said Reggie Felton of the National School Boards Association. "They don't have the capacity to do that." However, Indiana and South Carolina officials have scrapped the Common Core, which would have been set in motion this year, Layton writes. 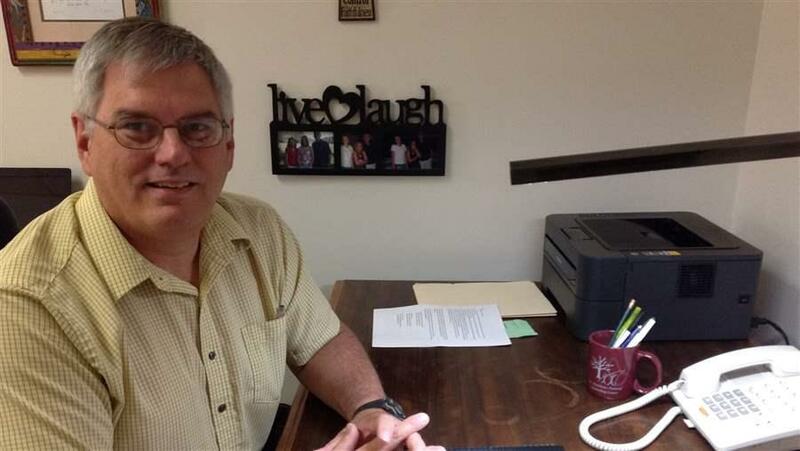 In April, Wisconsin lawmakers tried to pass a similar law, but the state's schools superintendent campaigned against the idea. "This bill would hand over what is taught in our schools to partisan politics," Superintendent Tony Evers wrote in a public plea. Nelson disagrees; he said though academic standards have always been political, the state's new legislation will help democratize the process. "According to Daniel Thatcher, an analyst at the National Conference of State Legislatures who has been tracking the issue, 12 states passed 14 laws since 2013 that change the way state academic standards are adopted. In most cases, the laws add the number of people who must review and approve of new academic standards, he said," Layton writes. As for the states still striving to meet the standards, it's important to note that many teachers still feel inadequately prepared for Common Core, and a new group of experts will post free online reviews of textbooks used for the standards. The Education Week Research Center surveyed a diverse group of 457 teachers and asked them to express how prepared they feel to teach the using the Common Core, Catherin Gewertz writes for Education Week. Respondents answered on a scale from 1 ("not at all prepared") to 5 ("very prepared"). Fewer than half of the teachers gave themselves 4s or 5s. However, though last year's report showed that 71 percent of teachers attended professional development or training for the Common Core, this year 87 percent attended such training. The preparedness drops when it comes to teaching students with more challenges. "Fewer than four in 10 teachers said they felt well prepared to teach the common core to students who were from low-income families or were academically at-risk," Gewertz writes. Even fewer reported confidence in teaching students with disabilities or those learning English. Another concern is the quality and alignment of curriculum. "Nearly six in 10 said their main curricular materials were not aligned to the new standards," Gewertz reports. (Read more) Soon there may at least be a reliable and widely accessible way for teachers to know which book and materials align well to the standards. A group called "Consumer Reports for school materials" will soon post free reviews of major textbooks that claim to be aligned with the Common Core, Liana Heitin writes for Education Week. The nonprofit organization, which is now called EdReports.org, is comprised of 19 educators—and half of them are classroom teachers. They will begin with 21 series for K-8 mathematics then work on K-12 English/language arts curricula. The Bill & Melinda Gates Foundation, the Wililam and Flora Hewlett Foundation and the Leona M. and Harry B. Helmsley Charitable Trust are funding the project. "This kind of information is just desperately needed," said Morgan Polikoff, an assistant professor of education at the University of Southern California. "There's just no question there's immense demand right now." Saying she feared for her safety, a community newspaper police beat reporter in Arkansas quit her position after the local police chief attacked her credibility and the newspaper on social media, Max Brantley reports for the Arkansas Times. Referring to Jonesboro Sun reporter Sunshine Crump, police chief Mike Yates wrote on Facebook: “Wonder if ole Sunshine could pass a drug test. Why yes, she has been arrested before," "Pro-dope smoking, law license revoked, left wing liberal, smelly, arrested by police, unscrupulous reporter," “Reminds me of a song . . . ‘ain’t no Sunshine when she’s gone’ etc," and “Dealing with ole Sunshine is like trying to pick up a dog turd by the ‘clean end.’” Yates, who also attacked the paper, saying “I intend to help that ship sink . . . torpedoes away!" defended his comments by saying they were protected under the First Amendment. Sun publisher David Mossesso has called for Yates to be fired, Brantley writes. The paper accused Yates of changing "police procedure to slow reporters' access to public information—logs, police reports and affidavits for arrest warrants. Reporters are getting reports later and only after review by an information officer. They also no longer may speak directly to detectives." City attorney Phillip Crego said the city was investigating the claims, while the mayor had no comment. The Jonesboro Sun requires registration to access the story on Yates and Crump, but the newspaper can be viewed by clicking here. "The move sets up a potentially bruising battle for control of one of the country’s biggest dollar discount stores, as retailers seek to cater to America’s working poor," de la Merced writes. "Raising antitrust as an issue—as opposed to simply objecting to the price—suggests that the target company plans to resist, since that defense could hurt any combination of the two down the road." 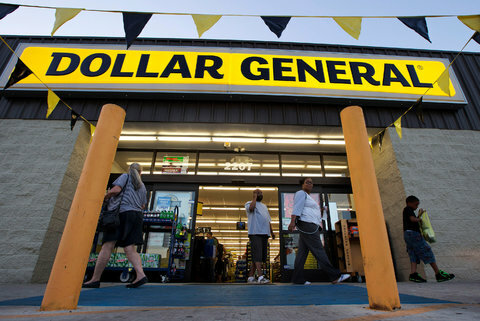 "Family Dollar acknowledged that it had held talks with Dollar General several times over the last year and a half. During that time, its advisers were studying—and becoming more convinced—that a union would not pass regulatory muster," de la Merced writes. "Compounding matters, Dollar General declined to attend a meeting in June to discuss antitrust issues." The National Park Service has banned drones over the Appalachian Trail, which runs through parts of Maine, Vermont, New Hampshire, Massachusetts, Connecticut, New York, New Jersey, Pennsylvania, Maryland, Virginia, West Virginia, North Carolina, Tennessee and Georgia, reports The Associated Press. "The Park Service said Wednesday the interim rule prohibits launching, landing or operating unmanned aircraft from or on Appalachian National Scenic Trail lands," AP writes. "The ban takes effect immediately and lasts until the Park Service can develop an appropriate policy. The Park Service says drones could affect resources and visitors in ways it has yet to analyze so more study is needed." The Park Service also released two press releases on Wednesday banning drone-use in southeast Utah national parks and in Colorado National Monument. "Given the rapid increase in the number and use of drones nationwide and in the Southeast Utah Group national parks, Superintendent Kate Cannon has determined it necessary to prohibit their use in order to protect public safety, minimize visitor-use conflicts and prevent unacceptable impacts to scenic values, natural soundscapes and wildlife," The Utah release says. The U.S. Army Corps of Engineers does not have to consider scientific studies linking mountaintop removal to public health problems when the agency approves new Clean Water Act permits for mining operations, a federal judge ruled this week in Charleston, W.Va., Ken Ward reports for the Charleston Gazette. Where were people currently living in your state born? And where are people who were born in your state currently living? Those are questions answered through a series of charts by Gregor Aisch, Robert Gebeloff and Kevin Quealy of The Upshot, a New York Times blog that did the analysis. "The patterns of migration continue to change," The Upshot writes. "California has long been the destination of American dreamers from other states. It no longer plays that role; residents are leaving for greener pastures out East. Today, the state is still pulling in foreign immigrants, but the percentage of American-born transplants has shrunk significantly as fewer people move into the state. In 1960, half of California residents were born in another U.S. state. Today, that's down to 18 percent." "There are growing pools of Californians in nearly every state," The Upshot writes. 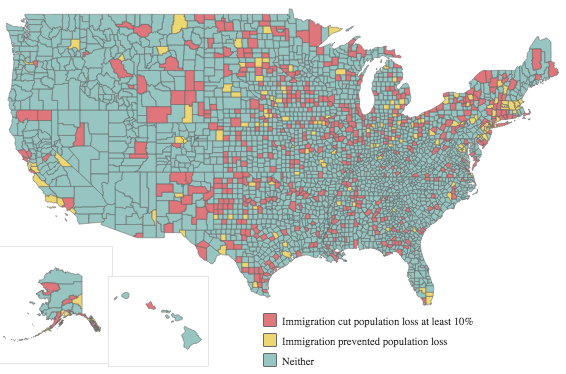 "It's quite a switch because through 1990 California led the nation in retaining its native-born population. There are now about 6.8 million California natives living elsewhere, up from 2.7 million in 1980." Delays have been blamed on increased competition from oil and coal shipments, a bumper grain crop, an improved economy that is jacking up the amount of consumer goods and a bad winter. As a result, prices have significantly decreased, and many farmers have put crops in storage rather than sell at reduced prices. As political season begins to heat up—advertisements for November elections are already appearing on local television—and candidates begin pushing their stance while attacking their opponents, in some states where coal is king, or at least it used to be, the issue is a sensitive one that could sway voters one way or the other. And saying the wrong thing about coal could be political suicide in states like Kentucky, where even in areas that have never mined coal voters are strong supporters of the practice. The heated race in Kentucky between Senate Republican Leader Mitch McConnell and Democratic challenger Alison Lundergan Grimes, "has thrust the subject back to the forefront," Erica Peterson reports for of WFPL in Louisville. Stephen Voss, a political science professor at the University of Kentucky, told Peterson, “Coal is sitting like the 800-pound gorilla on the U.S. Senate race right now." 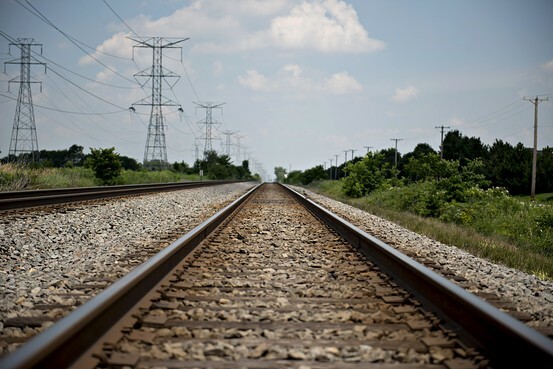 "A billionaire coal operator has admitted to hundreds of reclamation violations in Eastern Kentucky and agreed to post $10.6 million in bonds to fix the problems," Bill Estep reports for the Lexington Herald-Leader. 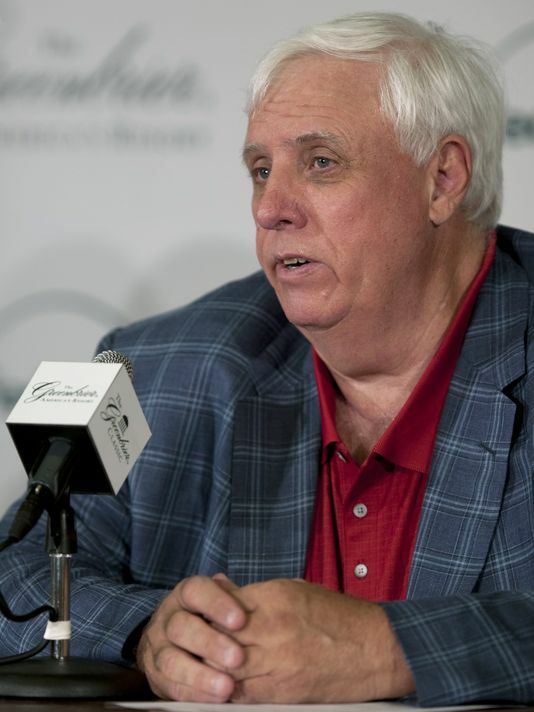 "Under the deal with Kentucky regulators, Jim Justice of West Virginia also will pay $1.5 million in fines." Justice, who owns coal mines in Kentucky, Tennessee, West Virginia, Virginia and Alabama faced at least 266 violations, including 129 in Kentucky. His companies "already had paid $419,635 under citations included in the settlement but owed an additional $4,498,995, which was cut to $1.5 million as part of the deal," Estep writes. "In addition, Justice and his son, Jay Justice, pledged their personal assets to guarantee payment on the reclamation work and fine." Duke and state officials had argued about who was responsible for paying for the clean-up, but Duke reached a compromise with the Environmental Protection Agency in May and with the state in June. Last week it was revealed that West Virginia American Water Co. delayed for eight years plans to review potential contamination sources upstream of the treatment plant that was responsible for a January chemical spill that dumped thousands of gallons of a coal-cleaning chemical into a major regional water supply. A review by the U.S. Agency for Toxic Substances and Disease Registry, released to the public on Tuesday, says the state Department of Health and Human Resources lacks a program and properly trained staff to assess community-wide chemical exposures like the one that contaminated the Elk River, Ken Ward reports for the Charleston Gazette. The U.S. Department of Agriculture announced on Tuesday that it is investing $25 million to help 247 rural businesses in 46 states, Puerto Rico and Micronesia expand their operations and create new products, said a press release from the agency. The funding "helps agricultural producers grow their businesses by turning raw commodities into value-added products, expanding marketing opportunities and developing new uses for existing products." The grants, through the agency's Value-Added Producer Grant program, can be used to "support local and regional food systems, further the development of the growing bioeconomy and finance the distribution of local and regional products," said the USDA. For a full list of grant recipients, click here. While Congress has deferred the issue of Saturday mail delivery for another year, the U.S. Postal Service has cut costs in rural America by reducing the operating hours of more than 9,000 post offices, and thousands more will be cut back on Oct. 1. This is a nationwide story that can be localized in most counties. 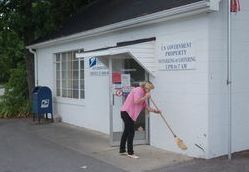 Kleffman writes, "That kind of no-big-deal reaction bears out the Postal Service’s decision to cut back the hours at a smaller, mostly rural facilities rather than close them down completely. ... Downsizing has occurred or is planned at some 33,000 post offices around the country, including 317 in Kentucky." Costs are broken down by housing, food, transportation, clothing, health care, child care and education and a miscellaneous category. About 30 percent of costs will go to housing, 18 percent to child care and education, 16 percent to food, 14 percent to transportation, 8 percent to health care and miscellaneous and 6 percent to clothing. 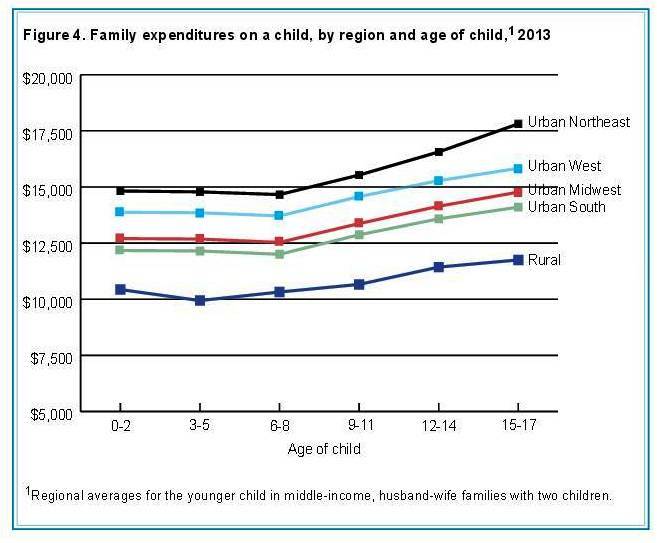 For a middle-income rural family it will cost $10,430 annually for children under 3. For children 3 to 5, annual costs are $9,940; 6 to 8, $10,320; 9 to 11, $10,660, 12 to 14, $11,430; and 15 to 17, $11,750. For lower-income families costs are $8,000 for children under 3, $7,510 for 3 to 5, $7,660 for 6 to 8, $7,960 for 9 to 11, $8,590 for 12 to 14, and $8,780 for 15 to 17. Rural areas are facing doctor shortages and hospital closures at a time when millions of previously uninsured Americans have gained coverage through federal health reform. With more people seeking care and fewer places to get it, there's a gap in rural areas for much-needed services. An unlikely source is making a bid to add rural health care to its resume. The biggest retailer in the U.S. has entered the medical field. 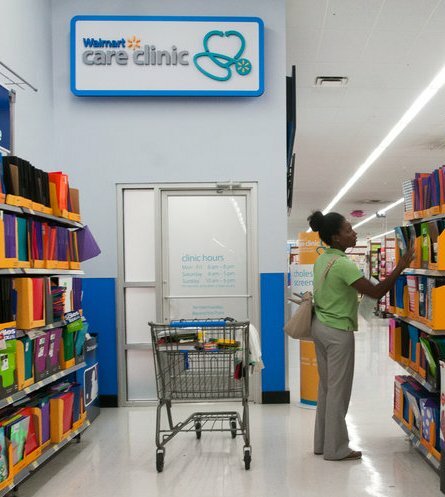 Yes, Wal-Mart is bidding to be your primary health-care provider. "Walmart’s clinics are partnering with QuadMed to staff their offices with nurse practitioners and physician assistants, who are fully qualified to diagnose illnesses and write prescriptions, but don’t have the full training of a medical doctor," Lorenzetti writes. "Each location will have a supervisory physician, although they will not actually treat patients." And costs will be cheap. "Patients are charged $40 a visit, while employees and dependents who are covered under Walmart’s insurance pay $4 a visit. The clinics accept Medicare and are starting to enroll some locations in Medicaid, but do not yet accept third-party insurance." About 15 to 20 patients use the primary clinics in South Carolina and Texas every day, but a large percentage of them don't have another primary doctor, according to Dr. David Severance, the corporate medical director at QuadMed, Rachel Abrams reports for The New York Times. "For patients with complex issues, Dr. Severance said, the goal was for Walmart to be a patient’s first stop and part of a continuum of care." 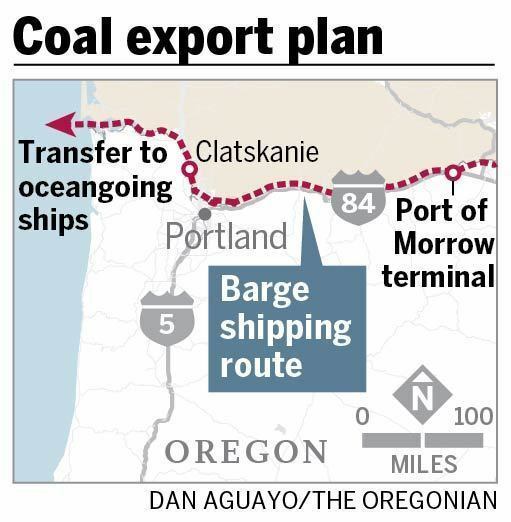 The $242 million project would have used railways to move coal from Wyoming and Montana to the Oregon terminal, where barges would take it to the coast to be shipped to Asia, Davis writes. "The terminal, one of three export facilities planned in the Pacific Northwest, is the smallest and furthest along. Industry analysts said it had the best chance of being built. Analysts said it could fill a niche for Asian countries like South Korea willing to pay more to diversify against interruptions from more volatile suppliers such as Indonesia." Recent instances of toxic algae blooms that have led to water advisories in Toledo, Wisconsin, and brought fear to Des Moines, are a common late-summer occurrence that can affect any drinking water supply that relies on lakes. Stories shouldn't wait for local warnings and advisories; check with your local water-system operators to see how they are dealing with the threat. Besides drinking water, stories can also include suggestions about ways to avoid algae-fouled water, or what to do after coming into contact it. In Kentucky, 10 lakes that provide drinking water for thousands of people are under advisories, James Bruggers reports for The Courier-Journal in Louisville. "None is closed to swimming, fishing or boating. Instead, authorities advise not swallowing lake water, and washing well after swimming." State officials said there are currently no immediate threats to drinking the water. While the overall population in California's Santa Cruz County has continued to increase, the rural population has decreased by about 20,000 people since 1990, due in large part to a 1978 state measure designed to prevent new developments in the county's mountainous regions, Jason Hoppin reports for the Santa Cruz Sentinel. Population numbers from 1978 were unavailable. Measure J was a pro-environment ballot measure that "aimed to protect a region, the Santa Cruz Mountains, that had been teeming with people for more than a century," Hoppin writes. 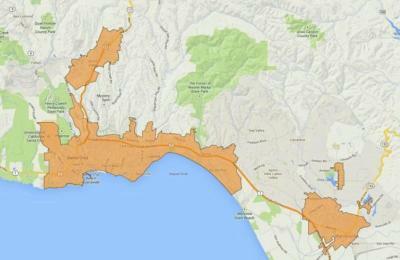 "The backbone of Measure J is the urban services line, a boundary that includes the incorporated cities of Scotts Valley, Santa Cruz, Capitola and Watsonville, and divides steep mountains from coastal prairies in unincorporated areas. On one side of the line would be one set of land-use policies; on the other, a second set." The measure has led to expensive housing in urban areas and limited housing in rural ones, Hoppin writes. "Because Measure J's urban services boundary essentially bars sewer extensions into rural areas, multifamily housing is largely limited to the urban core." Urban areas haven't responded with enough housing, and the county has 3,500 homeless people, "one of the highest concentrations of homeless persons in the country." "As part of Measure J, the county sets annual limits on new building permits," Hoppin writes. "A third of those go to the rural areas and the rest set aside for urban development. Last year, those numbers were modest by any measure: 84 and 168, respectively. But the availability of 252 new permits went barely noticed. 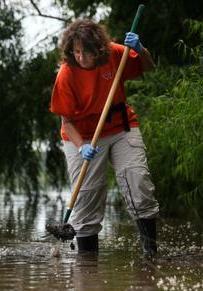 The county issued 32 in all of 2013, and just 11 in rural areas." "Dollar General’s proposal would create the nation’s largest discount variety retailer, Ely Portillo reports for the Charlotte Observer. "Dollar General is No. 1 in the category, trailed by Family Dollar. The combined company would have almost 20,000 stores, $28 billion in revenue and more than 160,000 employees." 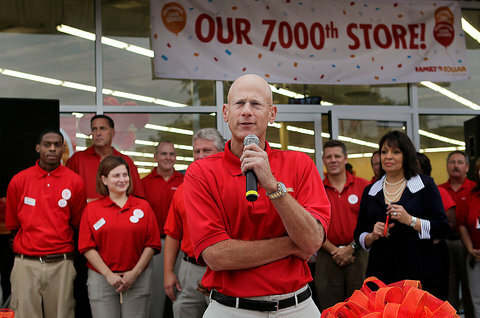 Family Dollar has about 8,100 stores nationwide. Dollar Tree has around 5,000 stores. Eight years before the January chemical spill that dumped thousands of gallons of a coal-cleaning chemical into a major regional water supply in West Virginia, officials from West Virginia American Water Co. "told state regulators they were planning to review the Elk River watershed to find out what potential contamination sources were upstream from their Kanawha Valley water treatment plant," Ken Ward reports for the Charleston Gazette. The review was never completed. That meant that when the leak occurred, "West Virginia American officials knew next to nothing about the material that had contaminated the source of drinking water for 300,000 people across the region," Ward writes. In fact, lawyers for the agency said they had to obtain information about the leak via the Internet and through requests to the Bureau for Public Health and Freedom. The information was disclosed "as part of a commission investigation into West Virginia American’s response to the Jan. 9 leak and the water crisis that followed," Ward writes. "West Virginia American and the other parties are embroiled in a dispute over what sorts of documents the water company should have to turn over to those other parties, and the outcome of the matter likely will decide just how broad of an investigation the PSC ends up doing. Water company lawyers want a narrow review that considers only what the company did or didn’t do after Jan. 9. Consumer advocates, business intervenors and citizens want a broader probe that examines what kind of planning West Virginia American did — or didn’t do — to prepare for an incident like the Freedom leak." Providing greater access to broadband in rural counties doesn't do much to further economic growth unless those areas choose to adopt the technology and are taught how to use it to better themselves, says a study published in Telecommunications Policy by researchers at Oklahoma State University, Mississippi State University and the University of Texas. "Researchers found that broadband availability alone was far less important to growth than adoption," reports the National Agricultural and Rural Development Policy Center. "Counties with a high level of broadband adoption — those in which 60 percent or more of the households had a wired high-speed internet connection — experienced higher income growth and saw a smaller increase in unemployment rates than did counties that did not reach the 60 percent threshold. Similarly, counties with low adoption rates — those in which less than 40 percent of the households had broadband — saw lower growth in their numbers of businesses and total numbers of employees." "Researchers used 2010 U.S. county-level data to compare all non-metro counties in terms of their broadband availability and adoption," the center writes. "They then compared these counties in terms of their economic growth between 2001 and 2010, using indicators like household income, employment growth, and number of firms. When they analyzed the two data sets together, they found a significant relationship between broadband adoption and economic growth."